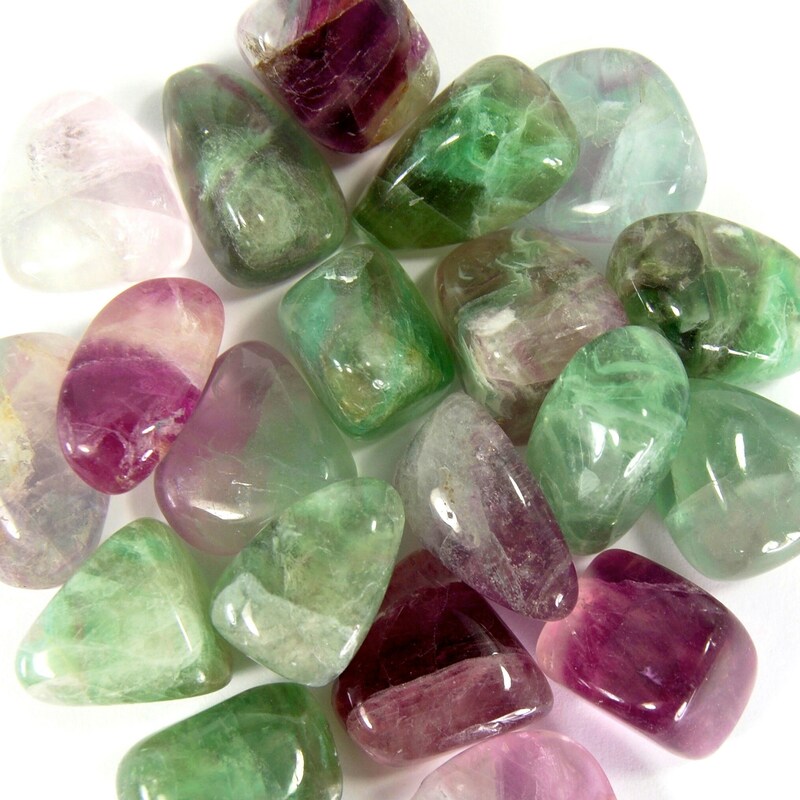 Natural medium Fluorite tumbled stone. These pieces measure .75 to 1.25 inches. 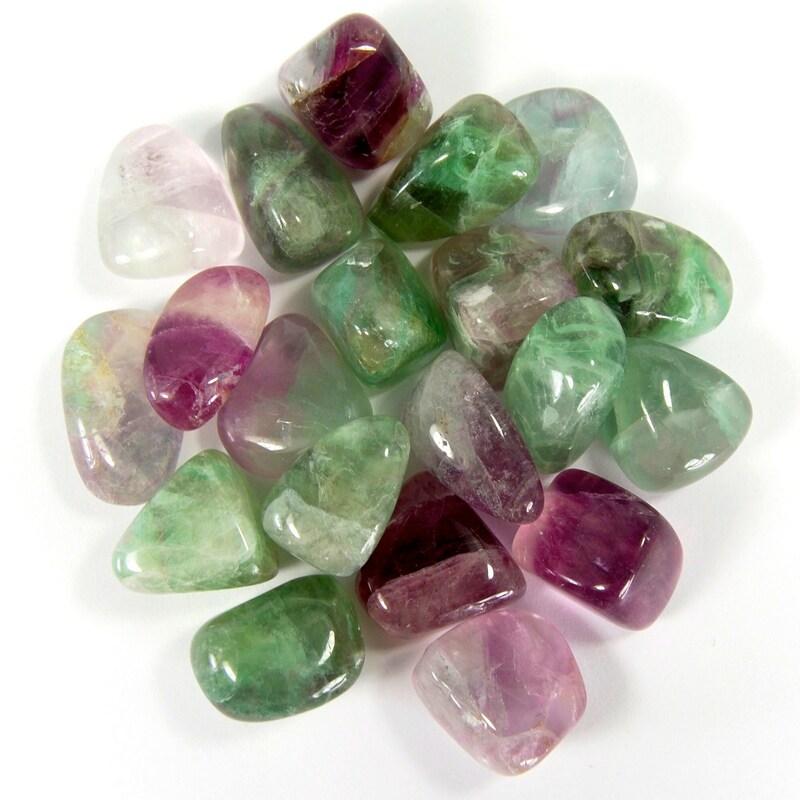 Absorbs and neutralized stress and negative energy. Increases self confidence and concentration. 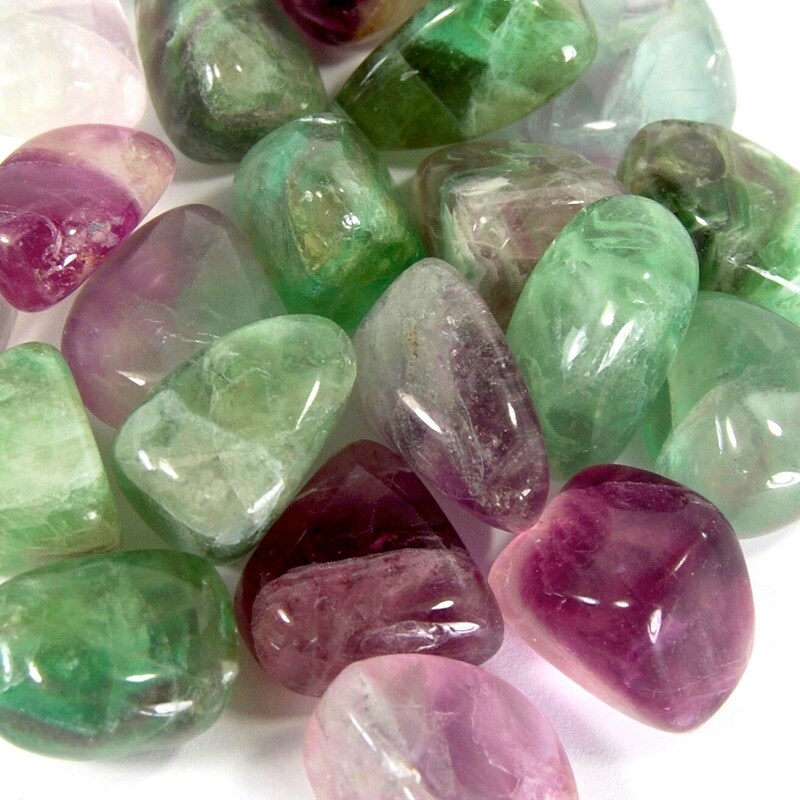 It is a grounding stone that increases intuition. Cleanses the Chakras. Stimulates creativity.